Imagine a suspension system that allows a super-low stance, track-tuned handling and – at the push of a button – raised ground clearance for everyday driving. It sounds too good to be true, right? 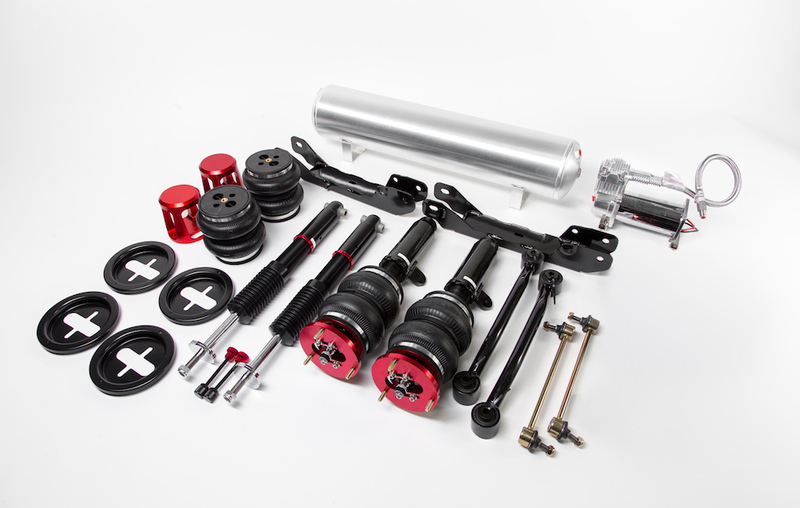 This high-performance threaded body air suspension kit has been specifically designed for the BMW E9x M3 chassis, giving you the ability to adjust the ride height with the touch of a button. 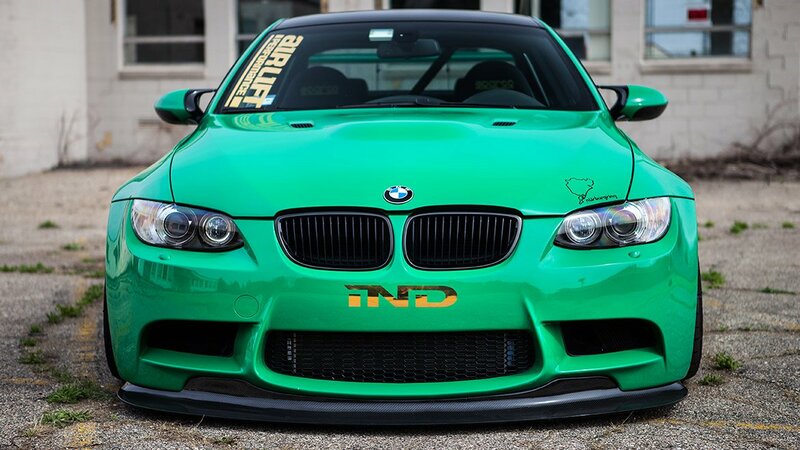 You can lower your M3 up to 5.8-inches from stock ride height! 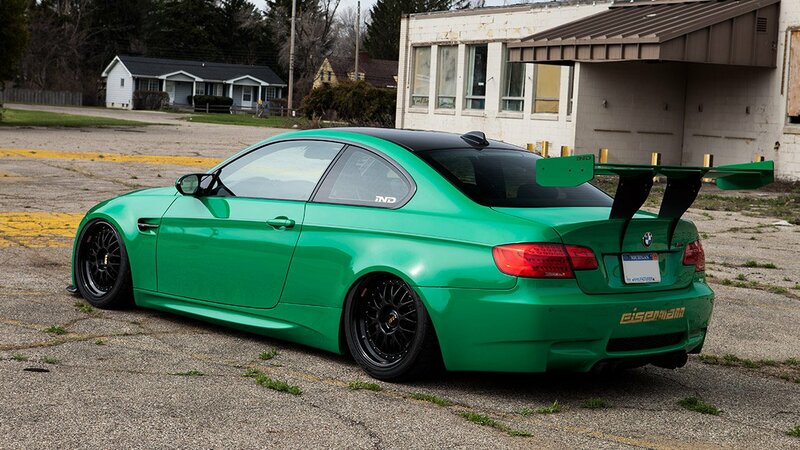 The result is a car with a stellar laid out look and significantly improved suspension performance, all while maintaining total practicality on the street. Air Lift Performance has stepped up the air suspension game with our threaded-body, bag-over style air strut. The mono-tube struts offer 30-way on-car damping adjustment. This allows you to change the damper settings from soft through to a stiff performance set-up with a convenient twist of the damping adjuster. Bolt-in camber plates, made of T6061 red anodized aluminum, provide alignment-tuning capability and help with wheel fitment. Furthermore, each strut features a threaded body allowing you to perfectly setup the vehicle by changing the position of the lower mount on the strut. For the rear, Air Lift Performance has employed the use of double bellow bags along with engineered control arms and tie rods that simply bolt on to the chassis – no cutting is required. Couple the Air Lift Performance smooth riding bag system with an ingenious damping set-up and the result is nothing short of incredible. 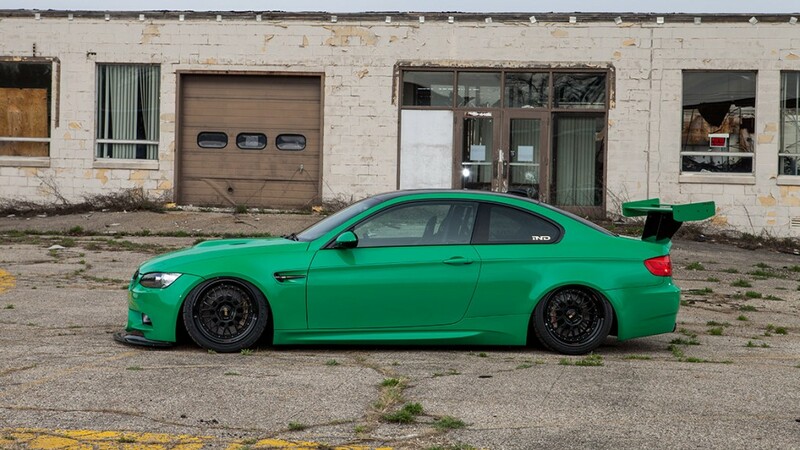 The BMW E9x M3 threaded body kit is available with a range of Air Lift Performance management options, including the innovative 3H height and pressure sensing system. Air Lift Performance used a state-of-the-art 32-bit processor, advanced height + pressure algorithms, plus a full color controller with built-in Bluetooth connectivity to make Air Lift Performance 3H the most powerful control system we’ve ever created. Installation is simple with a detailed instruction manual. Anyone with the skill to wire a stereo and swap suspension components can have their car on the ground in a matter of hours. Only basic hand tools are necessary to complete the job. The Air Lift Performance BMW E9x M3 threaded body kit is available with a range of management options, including the new Air Lift Performance 3H management system.